Image has announced yet another series launching in November, this time from John Layman and Afu Chan, exploring the genre of sci-fi/horror in a new book called Outer Darkness, published by Skybound. 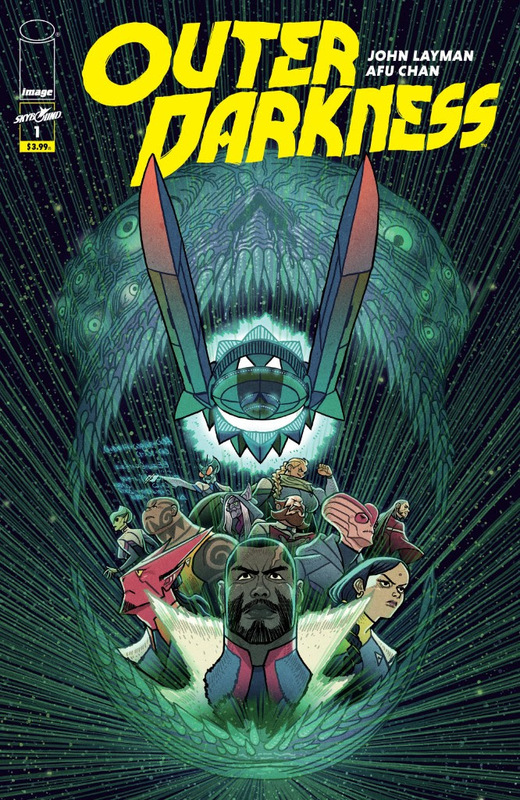 Thanks to Afu Chan and Skybound, we’ve succeeded in making OUTER DARKNESS as perfect and beautiful as I’d envisioned it to be since finishing Chew. I’m so unbelievably excited that OUTER DARKNESS is being announced to the world. I’m absolutely in love with this book. It was scary, in good way, working with John Layman and Skybound, especially on a comic filled with monsters and in space where nobody can hear you. I am always on the edge of my seat while drawing these pages, and I can’t wait for people to experience the ride when reading OUTER DARKNESS. It is the best work I’ve done yet. Outer Darkness #1 hits stores on November 7th.